Description: Sesame seeds (or sesamum or benniseed) are the seeds of the tropical annual Sesamum indicum. The species has a long history of cultivation, mostly for its yield of oil. The original area of domestication of sesame is obscure but it seems likely to have first been brought into cultivation in Asia or India. The plant is usually 60 to 120cm tall and the fruit is a dehiscent capsule held close to the stem. When ripe, the capsule shatters to release a number of small seeds. The seeds are protected by a fibrous ‘hull’ or skin, which may be whitish to brown or black depending on the variety. 1000 seeds weigh some 4-8g. The seeds have a high oil content of 44-60%. Locations: The major producing areas in order of priority are Nasarawa, Jigawa and Benue States. Other important areas of production are found in Yobe, Kano, Katsina, Kogi, Gombe and Plateau States. 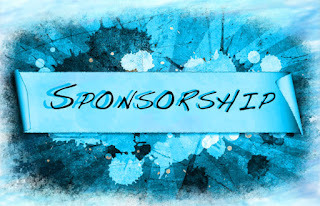 The major marketing centers (towns and states) of sesame seeds in Nigeria. Export Price: The export free on board price of sesame seed varies from USD 900 -1400/MT depending on the type and form of the sesame seed and the negotiation made with the buyers. 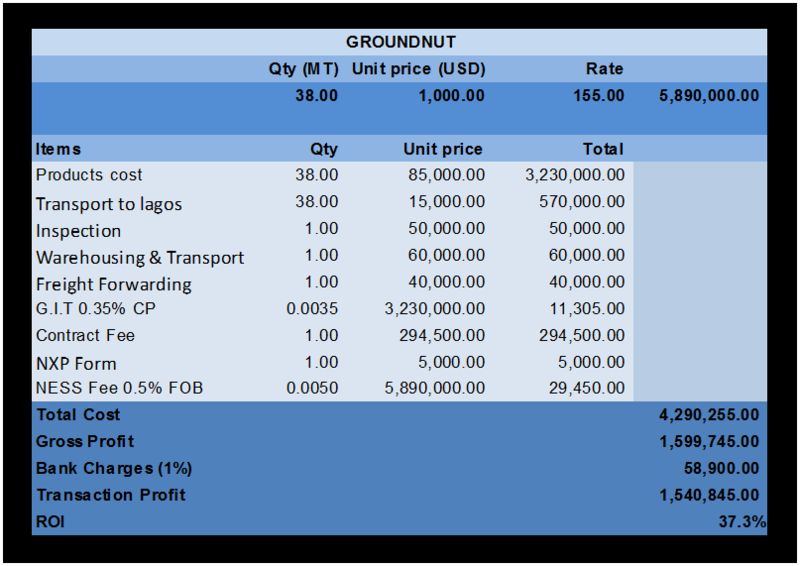 Local price: local price per metric tonne MT of sesame seed varies from NGN120,000.00 during the peak season to about NGN140,000.00 at the off season. 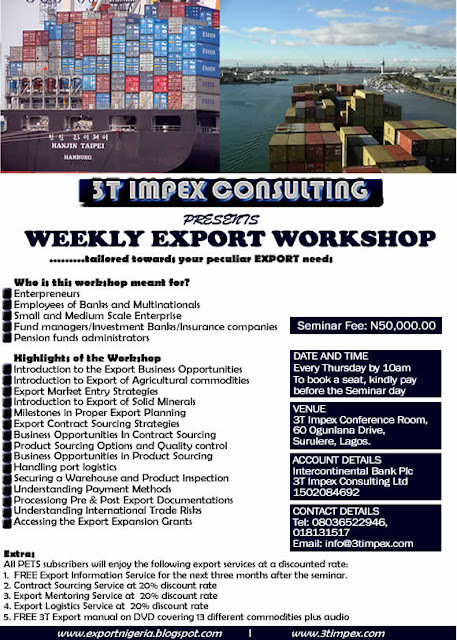 However local price when delivered EXW Lagos (delivered in Lagos) could range from NGN150,000 – 200,000.00/MT depending on the period during the season. Description: Shea butter is a slightly yellowish or ivory colored natural fat extracted from the seed of the African shea tree by crushing and boiling. 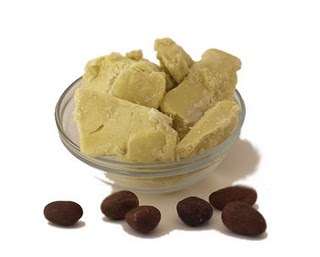 It is widely used in cosmetics as a moisturizer and salve. 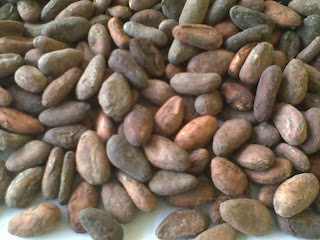 Shea nuts are primarily grown in West and Central Africa in the semi-arid Sahel,referred to by traders as the "Shea Belt". Vitellaria paradoxa and Vitellaria nilotica are the two main varieties. Vitellaria paradoxa is exported in the largest volume and grows throughout the West African region. 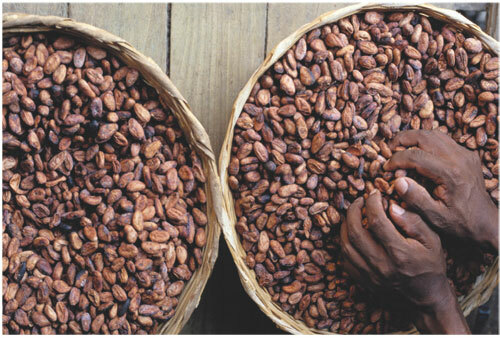 stearin) and the liquid oil (olein), are ideal for use as raw materials in cooking oil, margarine, cosmetics, soap, detergents and candles, but it has found its primary market niche as a substitute for cocoa butter in the chocolate and confectionery industry. Harvest: Shea nut trees grow widely and naturally in West Africa. They only begin to bear fruit after about 20 years and do not reach maturity for 45 years. They may continue to produce nuts for up to 200 years after reaching maturity. The nuts, which are embedded in a soft fruit, fall to the ground during the harvesting period (typically June through August). In most African countries, the main harvest lasts from October to March and the interim harvest from May to August They are then buried in pits which cause the pulp to ferment and disintegrate and produce enough heat to prevent germination. The nuts are dried for a few days and are later shelled and winnowed, usually by hand. The kernels are dried further to reduce moisture content from about 40 percent to about 7 percent. Shea butter is graded based on a number of factors. For some buyers, It could be based on the percentage of the expected vital constituents present in the sample while some other buyers use the level of refining and contamination present as their criteria. Based on the percentage of the expected vital constituents present, Shea butter can be graded as shown in the table below. 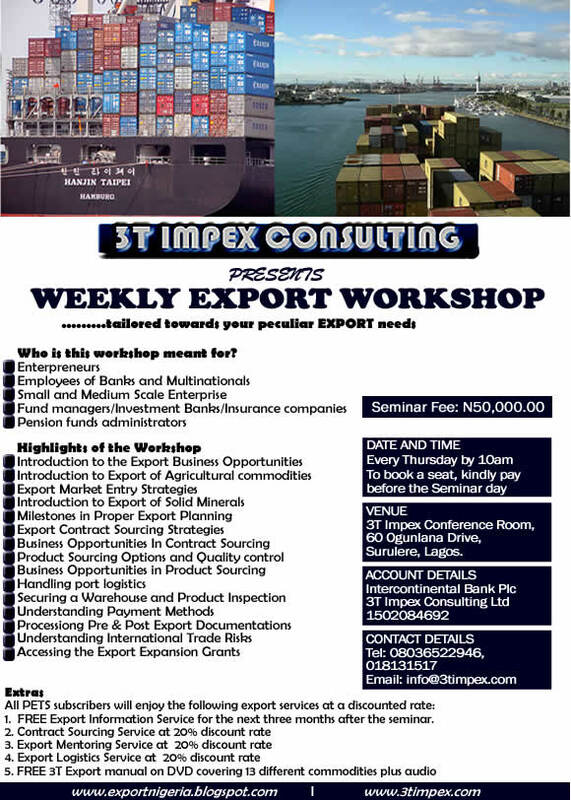 Export Price: Buyers in Europe and the United States are quote FOB prices ranging from USD2,500-4,000/MT depending on the quality and quantity of product ordered) for unrefined shea butter from Abidjan, Accra or Lagos packed in 20 pound dark plastic sacks or 50 kilo dark plastic containers or coated steel drums. Local price: The local market price of shea butter per MT ranges from NGN300, 000.00 to NGN500, 000.00 to deliver it to Lagos during the season. Description: kaolin, also called china clay, soft white clay that is an essential ingredient in the manufacturing. In its natural state kaolin is a white, soft powder consisting principally of the mineral kaolinite. Kaolinite is a clay mineral, part of the group of industrial minerals, with the chemical composition Al2Si2O5(OH)4. It is a layered silicate mineral, with one tetrahedral sheet linked through oxygen atoms to one octahedral sheet of alumina octahedral. 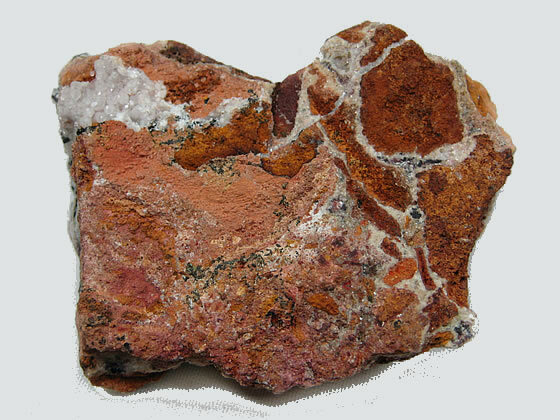 Rocks that are rich in kaolinite are known as kaolin or china clay. Occurrence: Kaolinite clay occurs in abundance in soils that have formed from the chemical weathering of rocks in hot, moist climates—for example in tropical rainforest areas. Comparing soils along a gradient towards progressively cooler or drier climates, the proportion of kaolinite decreases, while the proportion of other clay minerals such as illite (in cooler climates) or smectite (in drier climates) increases. Such climatically-related differences in clay mineral content are often used to infer changes in climates in the geological past, where ancient soils have been buried and preserved. Specifications: Kaolin specifications consist of physical and chemical aspects. 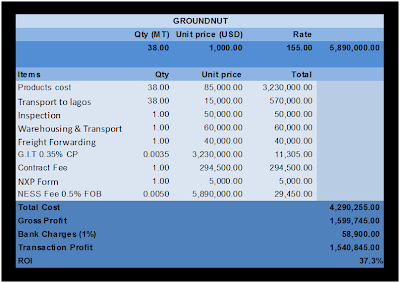 The two area of specifications are shown in the Table below. Uses: Approximately 40 percent of the kaolin produced is used in the filling and coating of paper. In filling, the kaolin is mixed with the cellulose fibre and forms an integral part of the paper sheet to give it body, colour, opacity, and printability. In coating, the kaolin is plated along with an adhesive on the paper’s surface to give gloss, colour, high opacity, and greater printability. Kaolin used for coating is prepared so that most of the kaolinite particles are less than two micrometers in diameter. Kaolin is used extensively in the ceramic industry, where its high fusion temperature and white burning characteristics makes it particularly suitable for the manufacture of whiteware (china), porcelain, and refractories. Substantial tonnages of kaolin are used for filling rubber to improve its mechanical strength and resistance to abrasion. For this purpose, the clay used must be extremely pure kaolinite and exceedingly fine grained. Kaolin is also used as an extender and flattening agent in paints. It is frequently used in adhesives for paper to control the penetration into the paper. Kaolin is an important ingredient in ink, organic plastics, some cosmetics, and many other products where its very fine particle size, whiteness, chemical inertness, and absorption properties give it particular value. Export market: The major export markets Iron ore is China. Other buyers next to china include India, Bangladesh, USA, South Africa, Japan and Hong Kong. 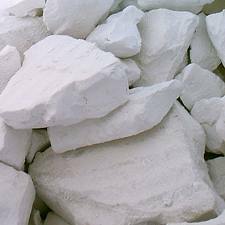 Export Price: Depending on the purity and other components of the Kaolin the FOB price could be as low as USD100-150/MT and it could be as high as USD200-300/MT or more. 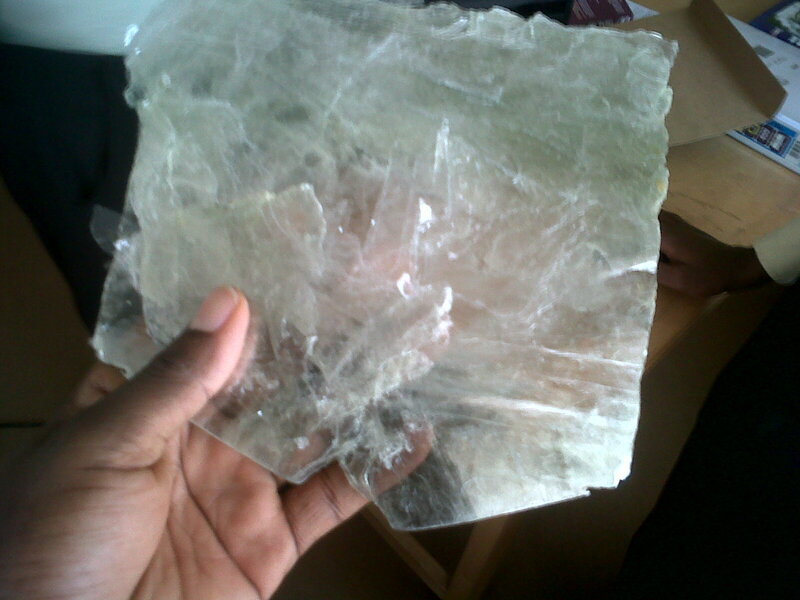 Local price: The local market price of Kaolin at the loading point could vary from NGN5,000-NGN7,000/MT or more.